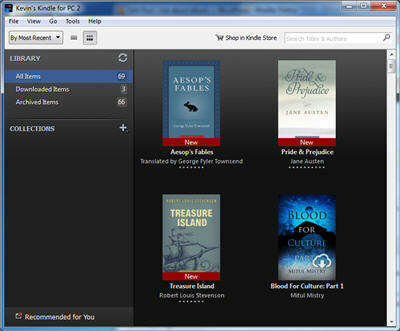 Kindle to ePub is to convert Kindle format ebook to epub format that read in eReader, Sony, Kobo, NOOK. it support Mobi, azw and other Kindle format, include DRM or no-drm ebook, user can read purchased Kindle ebook in any device, output format also support PDF, word, html, text. 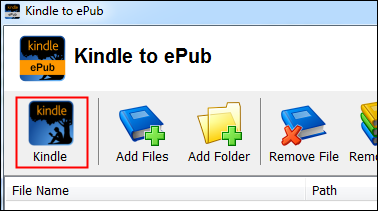 Kindle to ePub converter is easy to use, support drag and drop, import kindle ebooks from Kindle for PC automatically, convert DRM / noDRM ebook to ePub format with 1-click. 3). 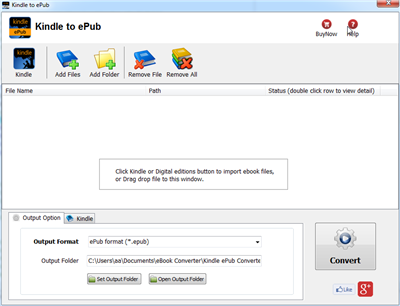 Run Kindle ePub Converter, click Kindle button to add all azw files into file list in converter.